'Iron Shinto' a Young Adult Sci-Fi Fantasy Mystical Adventure Series by author Tricia Stewart Shiu, was just awarded 'Runner Up' at the renowned Beach Book Festival. 'Iron Shinto' has also earned 14 reviews on Amazon averaging 4.5 stars. Iron Shinto is book three in the MOA series. The first book was MOA, the second Statue of Ku, those too are averaging nearly 5 Stars for each of the more than four dozen reviews on Amazon. 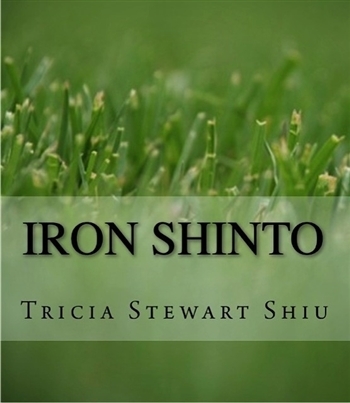 Iron Shinto has earned numerous awards and honors at several national and international book festivals including 'Runner Up' at The Great Southeast Book Festival, 'Honorable Mention' in the San Francisco and The Los Angeles Book Festival in the Young Adult category and in Portland Oregon's Great Northwest Book Festival. All three books chronicle a fanciful flight through time and space in a multi-dimensional universe of interplanetary spirits. In 2013 Shiu completed a successful Kickstarter campaign which helped raise funds for the costs of editing, publishing and publicity for "Iron Shinto," as well as the audio books for all three books in the Moa series. "The series is designed to appeal to the fans of Young Adult, Metaphysical Fantasy Fiction and others who just love books," says Shiu. 'What exactly is real? Your thoughts make whatever you perceive to be real. Beyond that, what exists?' Tricia Stewart Shiu has stepped into territory that few contemporary writers of novels have journeyed – concepts of many permutations of the spirit world as experienced and acted out by contemporary characters. Reading Shiu's book IRON SHINTO (the third volume of her series of books entitled The Moa Books) is not only immensely entertaining as a story, but also illuminating as to the concepts of the levels of existence that bond the corporeal world with the spirit world. Another reviewer said, "Dramatic Twisted! I'm left with a WONDERFUL Book Hangover!" The author, in addition to being an award-winning playwright, is also a metaphysical adept who actually met Moa, the ancient Hawaiian spirit at the heart of the series. "When I was five," Ms. Shiu explained, "I was visited by a vision. I'll never forget it, I was running down the stairs and the entity, a girl with dark hair, stopped me in my tracks. The spirit said that I would go through a deeply challenging time in my life, but would resurface, later in life, with unimaginable joy and fulfillment. That vision stayed with me." Many years later, taking a nap during a visit to her husband's family home in Honolulu, that dark-haired girl came back. "In my mind's eye, I saw a beautiful young woman with dark hair, who said her name was Moaahuulikkiaaakea'o Haanaapeekuluueehuehakipuunahe'e—Moa for short." Ms. Shiu's experience with this benevolent spirit launched her into a personal journey of spiritual exploration which included studies in mediumship, pagan and Huna rituals as well as an energy healing technique called "Crystalline Consciousness Technique." She also studied a variety of shamanic clearing methods and healing rituals. The result of the author's unique background is that each chapter of the book begins with a meditative ritual that pertains to that chapter. Some of the rituals, oils or meditations are even mentioned in the plot of the book. All of these rituals are easily done by the reader and have remarkably soothing and healing properties. The author sums it all up this way; "Whatever your belief or understanding of the metaphysical world, I believe that if one person is transformed through learning, then we are all transformed. I truly believe the Moa I met came through in this work and, just as I connected with her as I wrote, those who read the book will experience her as well." 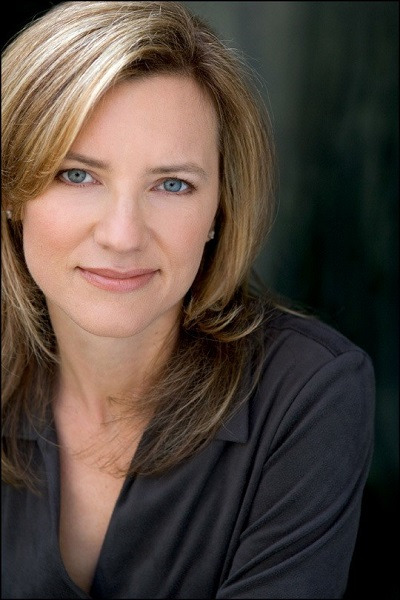 Tricia Stewart Shiu is an award-winning screenwriter, author and playwright, but her passion lies in creating mystical stories. Her latest series, The Moa Books, which includes "Moa," "The Statue of Ku" and "The Iron Shinto," were, by far, her favorite to write. Second Url: Iron Shinto’ a Young Adult Sci-Fi Fantasy Mystical Adventure Series by author Tricia Stewart Shiu, was just awarded ‘Runner Up’ at the renowned Beach Book Festival. Get E-mail Alerts When Tricia Stewart Shiu Sends news releases.